The student who drove the farthest for my TAW class, 4 1/2 hours, stayed at the Best Western on the edge of town so she finished her second class yesterday morning. The other students will come back next Tuesday. 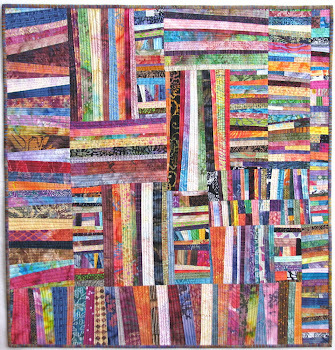 While she sewed I decided on the center of my quilt and did more unpicking of loops. 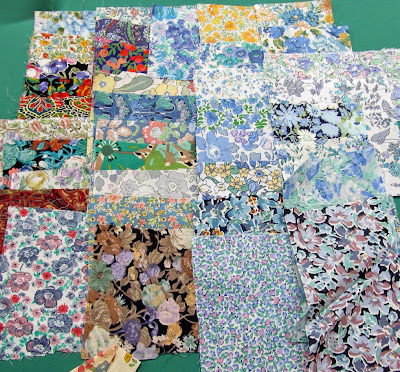 Later in the afternoon my dryer repair man came and while he worked on it I sorted all of the small pieces of Liberty Lawn that I bought about 20 years ago. These pieces are around 6.5" square. Back in those days there were no die cut packs of fabrics available. 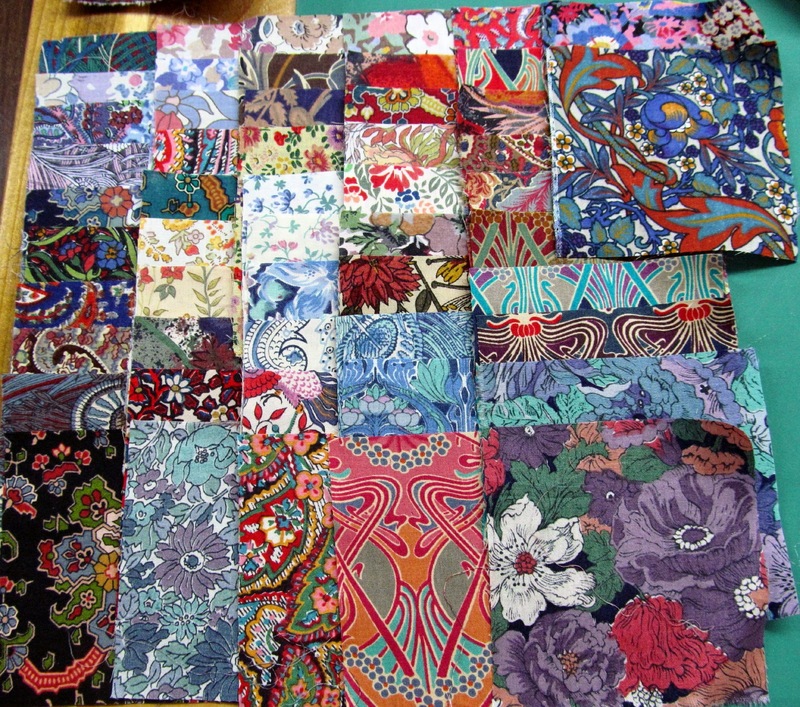 Some of these are torn along one edge and cut with scissors on the other 3 sides. They are not all the same size although the label said 6.5" squares. There was also a little bag of approximately 3" squares. Some of them are the same prints as the larger squares so I think I got them all from the same store. 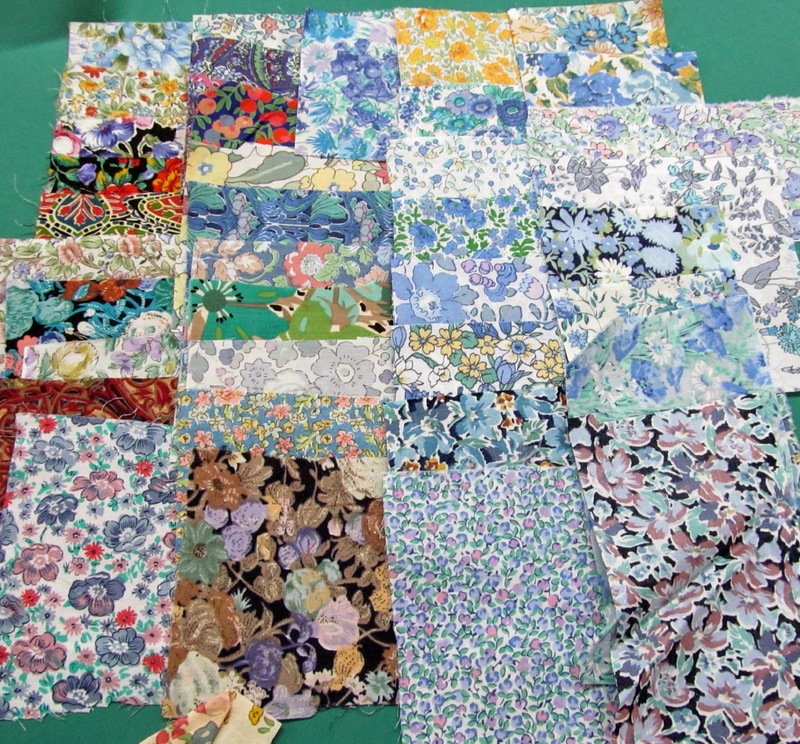 There was also a little package of scraps, anywhere from just under 2" wide to almost 4" wide. Near the end of the time that this store carried the Liberty Lawns there was a regular quilting weight fabric about 54" wide. All of these 3" pieces are that weight. 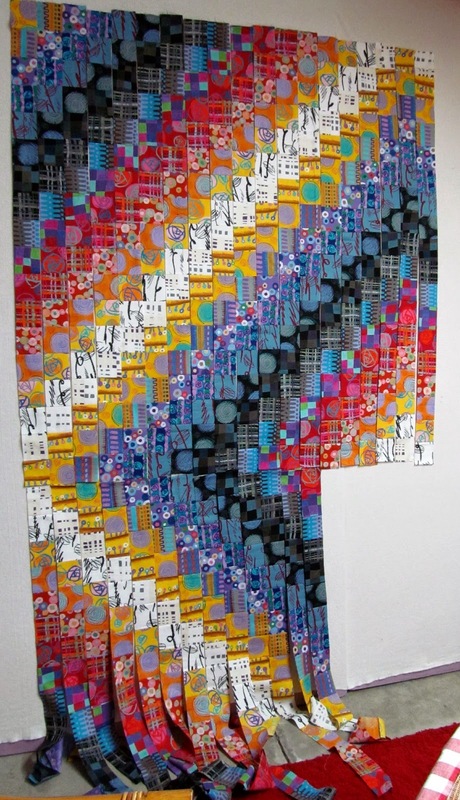 I have 3 yardage pieces that I bought of it at that time too. These are my duplicate pieces. 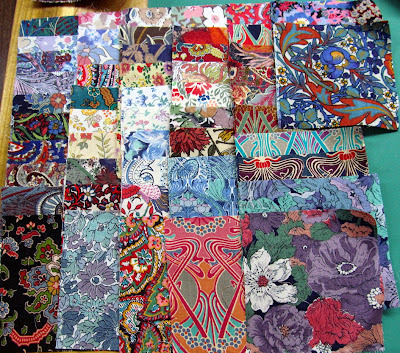 I'm wondering if there is anyone reading who has a more current collection of the Liberty Lawn that would like to trade some pieces with me. 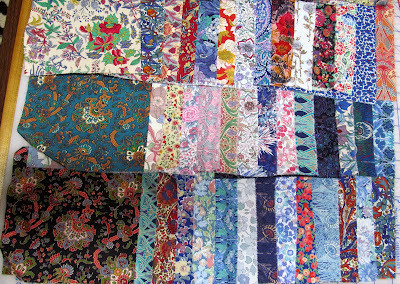 The fabrics in the top 2 rows are about 20 years old. I'm not sure of the time period of the 3 in the bottom row..I think I have found 2 trade partners now. Thanks everyone!!! Nothing to trade...I'm afraid!!! but it amazes me that you know that much about any particular fabric... Me-no way! Well ok, maybe one or 8 pieces that I have carted around since the 80's! TAW is looking good! Wow, what a lot of sorting and thinking things out! I have not touched any fabric since I am watching my 4 yr and 2yr old grandchildren for an entire week while my son and daughter in law are on a needed vacation! However, the 4 yr. old made a pillowcase on my handcrank yesterday and is sleeping with it! Pretty TAW...will be a stunner when finished. The Goke fabric TAW looks so great! Would trade Liberty Lawns if I had any. What a beautiful selection of Liberty Lawn fabric. I do not have any in my stash. 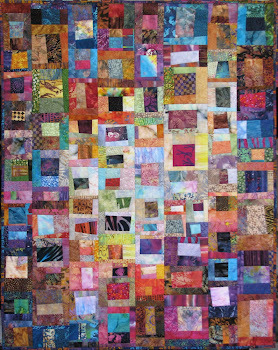 The TAW quilt is looking fabulous! I love how this quilt is turning out! Those fabrics are beautiful. I wish I had some to share with you. you next week when I get home. What a wonderful post today. Just warms my heart. TAW is magnificent ! Fabric collections as always just stunning. 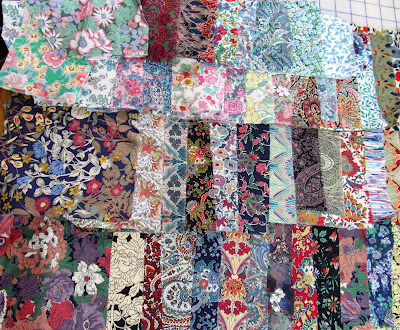 Those Liberty fabrics look absolutely luscious! Can't wait to see how you use them. I'm always in awe of your masterful use of prints. Every time I look at Liberty lawn fabric I am reminded of the summer nightgowns my mother used to sew for me. Even age 8 I loved them, a simple square yoke with the fabric flowing down to my feet. 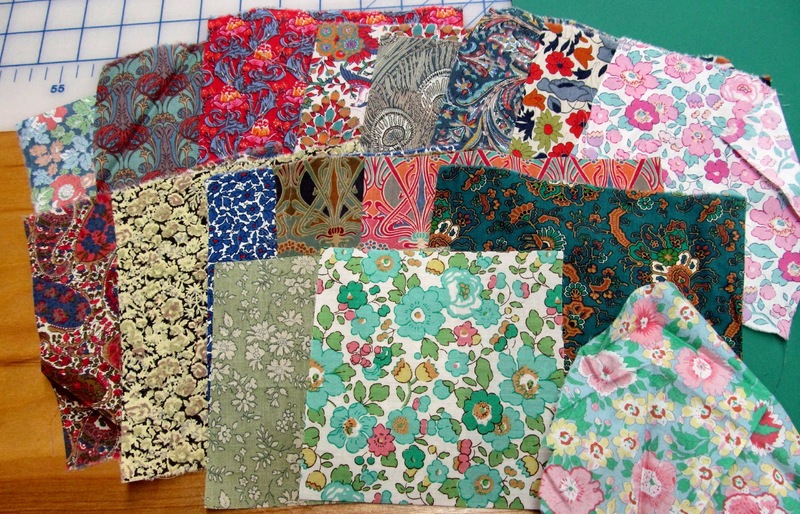 I have some fabric, just a little - some not quite fat quarters and the project but most of all I like looking at them! 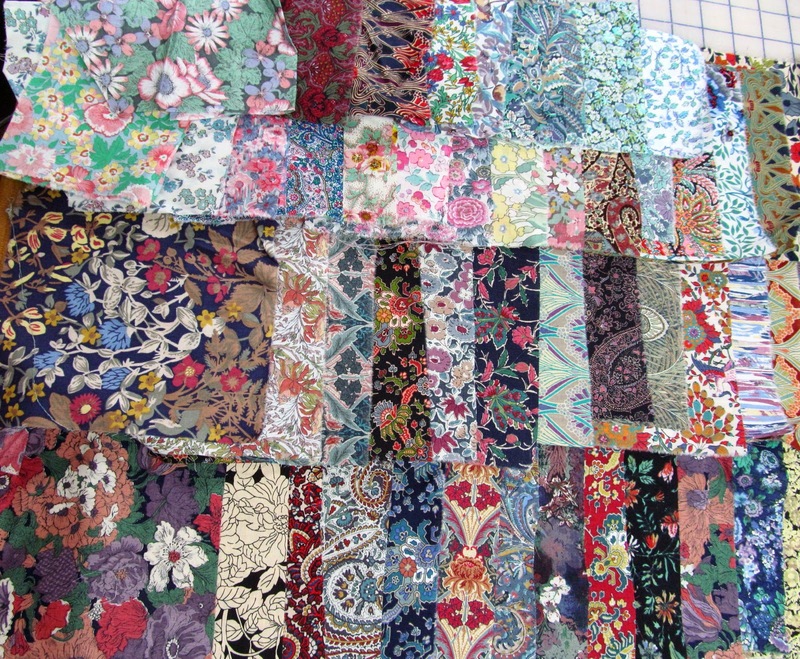 I just love to find fabric I bought 20--30 years ago..so much fun. You are the queen of the Christmas cactus. I just brought one in from under the bench outside and it is full of blooms.